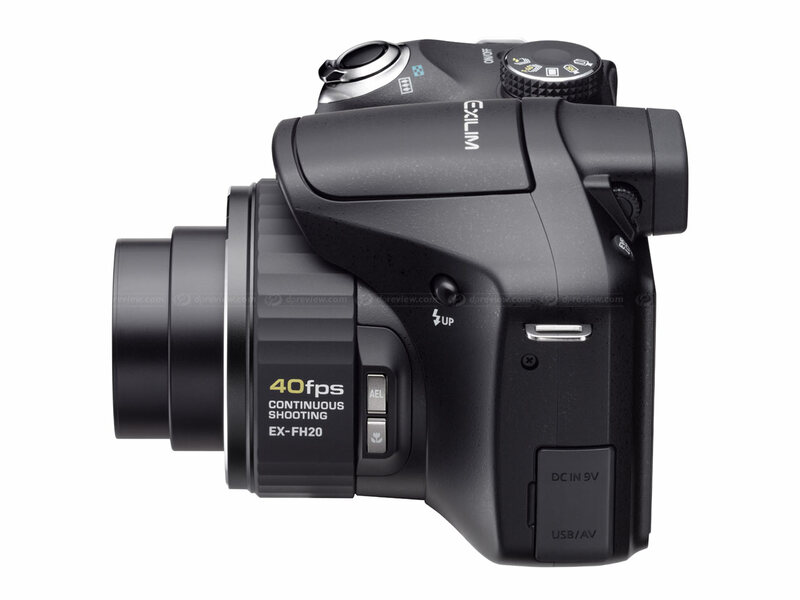 Casio has launched the Exilim EX-FH20 high speed digital compact camera. Building on the interest in its EX-F1 model, the FH20 offers a burst rate of up to 40fps and movies at 1000fps. The camera is built around a 9.1MP, 1/2.3” CMOS sensor and 20x zoom lens (26-520mm equiv) Priced at £399, the EX-FH20 is considerably less expensive than the EX-F1 and will be available from October. The EX-FH20's burst mode allows up to 40 7.1MP images to be recorded in burst of anywhere between 1 and 40fps. 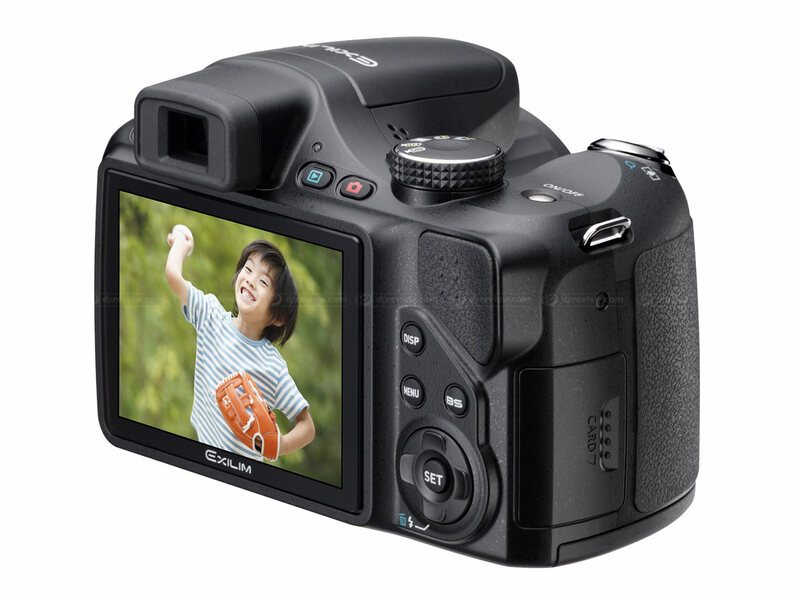 The camera also offers a pre-record mode that buffers images before the shutter release is pressed. Sensor-shift image stabilization is also included, along with a flash that can operate for up to 5 frames in continuous mode. London, September 16, 2008 - Casio Computer Co., Ltd., today announced the release of its newest EXILIM® digital camera, the HIGH SPEED EXILIM EX-FH20. This remarkable new camera is capable of ultra high-speed burst shooting at 40 fps and can record high speed movies at up to 1000 fps. Its speed and ease of use truly puts this camera in a class of its own. In recognition of these unique characteristics, with todays release of the new EX-FH20, Casio has launched the new HIGH SPEED EXILIM series, which includes this camera and the EX-F1, launched in March 2008. 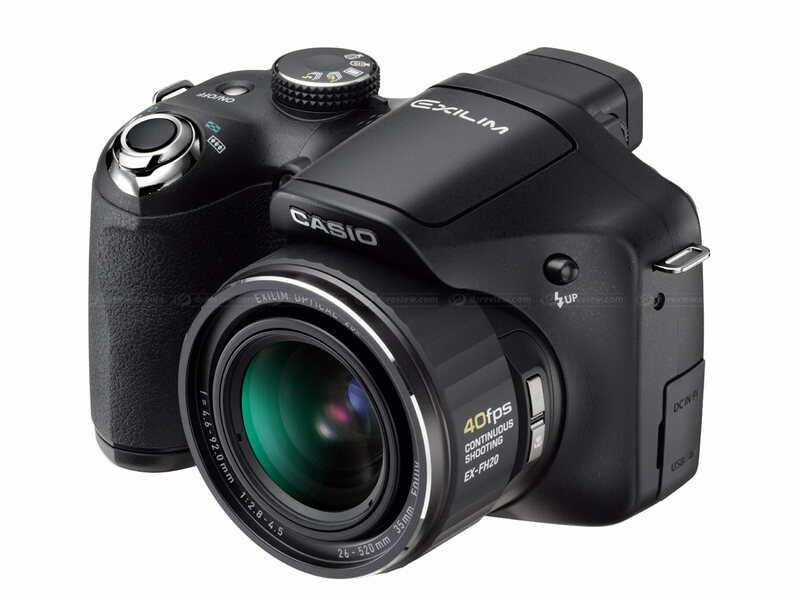 Casio expects the revolutionary capabilities of its HIGH SPEED EXILIM cameras to generate entirely new applications for digital photography. Priced at £399, the EX-FH20 will be available from October at all good camera stockists. Auto, 64,100, 200, 400, 800,1600.